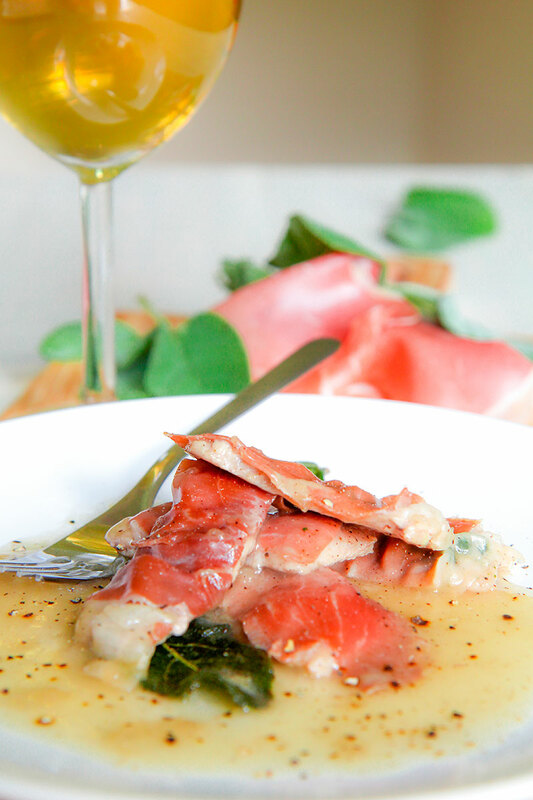 Roasted veal breast “alla Fornara” is a classic Italian recipe rich in taste and history! 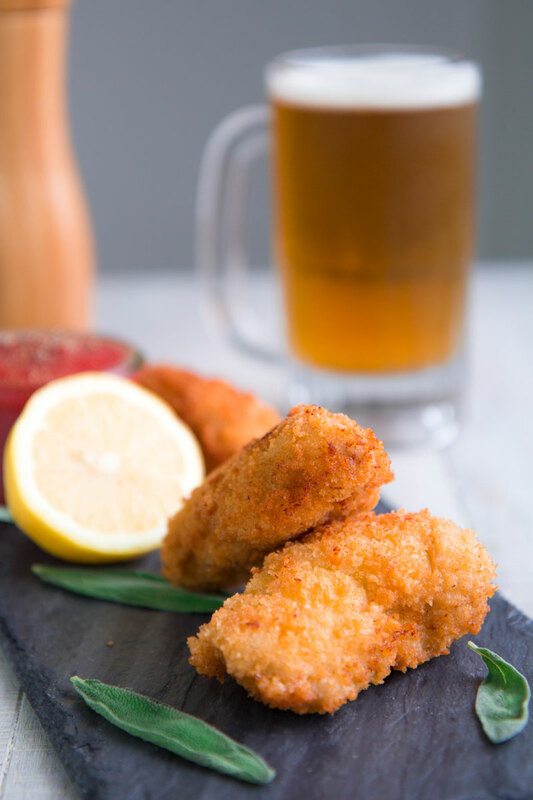 The origin of this dish is Roman, created at the times of the battles for the Italy’s unification by an Italian patriot. 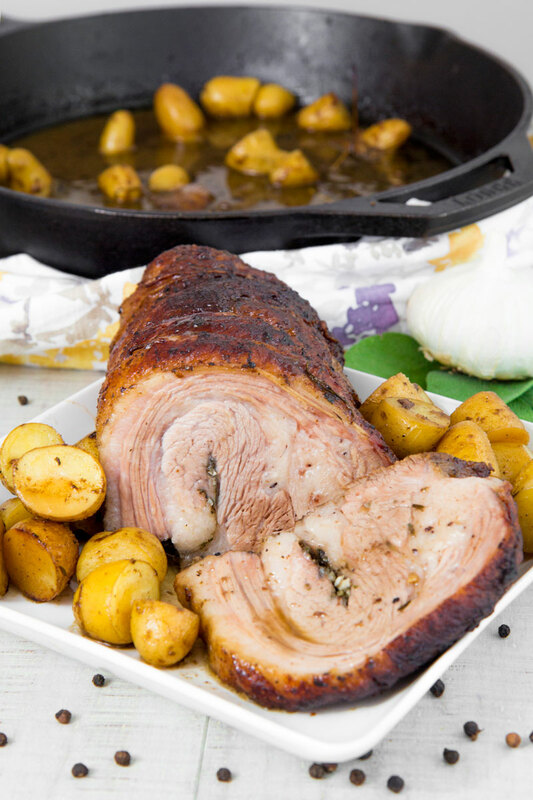 The recipe is easy and tasty: juicy veal breast marinated in salt and herbs, braised in white wine, then roasted in the oven. 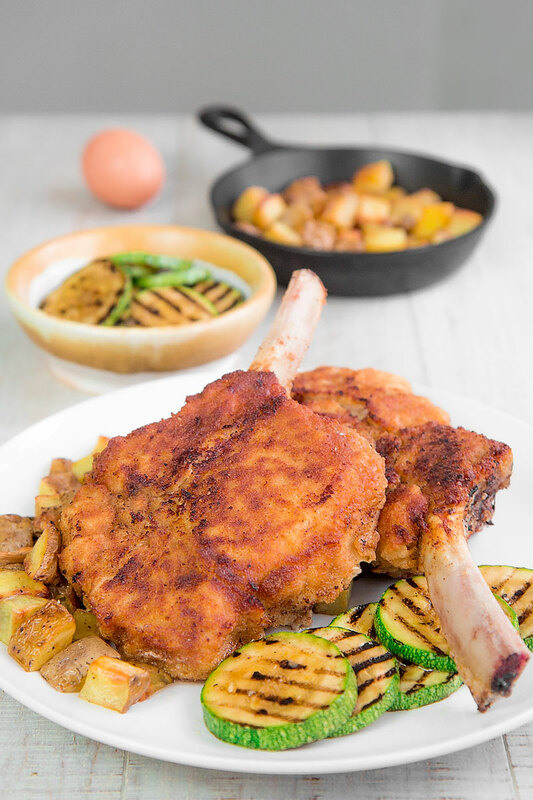 The veal “alla Fornara” is traditionally served along with potatoes, roasted aside the meat. Here the recipe and the history of this amazing and patriotic delight! I love a good veal stew so much! If you desire a good stew out from the winter, this is your recipe! 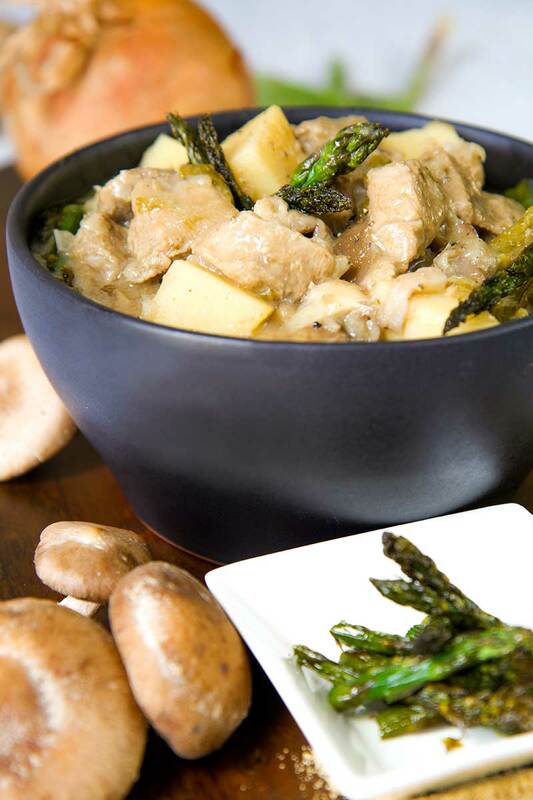 The veal meat is more delicate than beef, and it pairs perfectly with asparagus and mushrooms. A good white wine and fresh sage donate a tasty sour flavor. A suggestion: avoid cheap wine otherwise the sauce will be too acid! This dish remind me of my days in Greece: The white-washed houses, the deep blue of the sea and the pale and spiced yellow of Retsina wine. 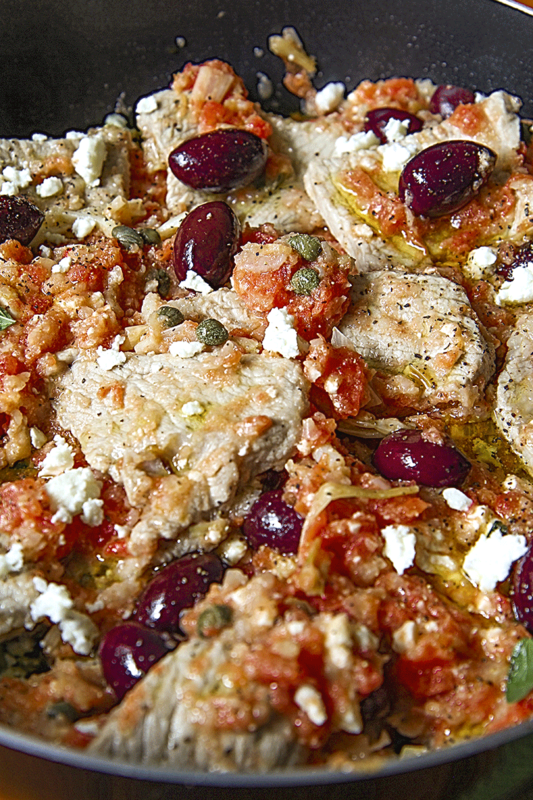 when I returned I brought home the colors and flavors of the Peloponnese and I created a variant of the veal scaloppine with what I had left in my suitcase : Kalamata olives, fresh tomatoes, oregano, capers, feta cheese. 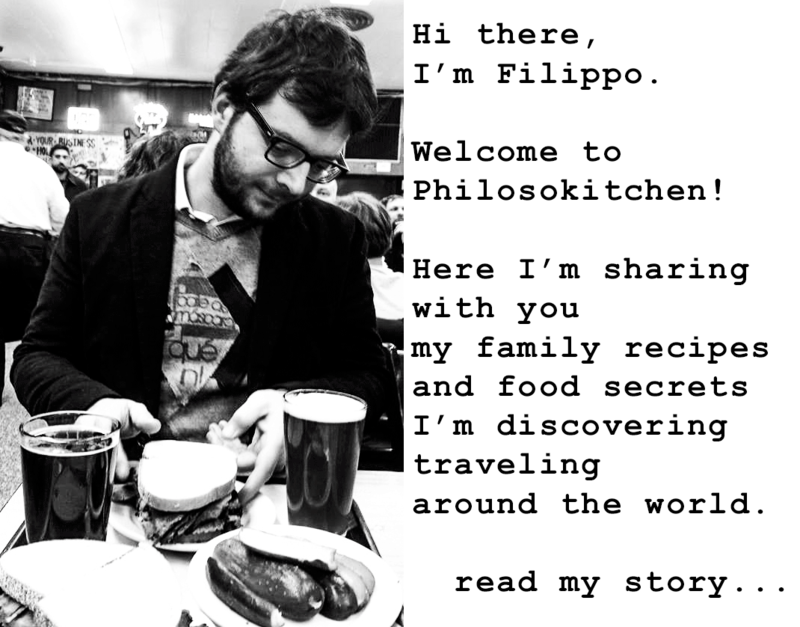 The result was great, and I toasted to the many ingredients that are common to Italy and Greece!